Are you confused in choosing between Hankook Optimo H724 and Hankook Optimo H727? Well, you have come to the right place! 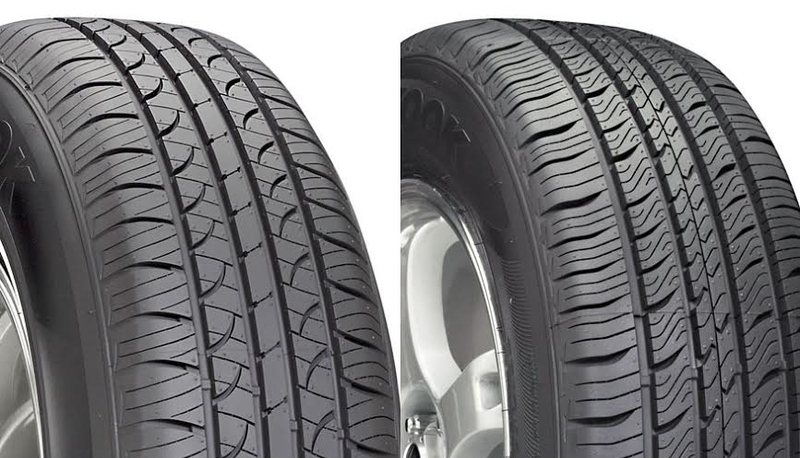 Here, you can read the comparisons between these two tires. Both Hankook Optimo H724 and Hankook Optimo H727 are favorite all-season tires for highway and city use. Both are relatively affordable and budget-friendly, but, as a matter of fact, Hankook Optimo H727 is usually a little bit more expensive than Hankook Optimo H724. Depending on your needs and conditions, either Hankook Optimo H724 can be sufficient for you or you need to go all the way with Hankook Optimo H727. As you can see, Hankook Optimo H724 and Hankook Optimo H727 have significantly different tread patterns. Hankook Optimo H724 comes with a less intensive tread pattern. It features a center rib block that functions to provide reliable handling and stability as you change direction. It also has contradicting curved sipes that deliver great and stable traction. It has a jointless full cover and high hardness bead filler that enhances durability and brake performance. It also has a single s trand bead wire that improves the comfort. The pitch design technology reduces noise for a quiet ride. On the other hand, Hankook Optimo H727 comes with a more intensive tread pattern. There are many four-circumferential grooves, which function for quick water evacuation from the footprint. The high density siping also make more biting edges for enhanced traction, especially on wet and snowy roads. Unlike Hankook Optimo H724, the solid centerline rib of Hankook Optimo H727 also has sipes, but it still delivers great driving feel and stability. The converging lateral slots provide greater stability, better comfort, and reduced noise. Hankook Optimo H727 features the CCT / Carbon Compounding Technology and FSO / Footprint Shape Optimization. Actually, Hankook Optimo H724 already delivers decent performance. It can be a good affordable upgrade from a generic tire. It provides great, confident handling on the road. It is also quiet and comfortable. The performance on wet roads is also very good and reliable. It can do well for the snowy season, as long as the snow doesn’t get too thick and frozen. Hankook Optimo H727 offers an even better performance. It is exceptional on the dry road, but it is also very dependable on wet and snowy roads. The intensive siping really delivers enhanced traction, allowing you to pass the snow safely. It is quiet and stays stable at high speeds. Between the two models, we recommend you to choose Hankook Optimo H727. It has better, more reliable performance on wet and snowy roads. It is also quiet, stable, and comfortable.